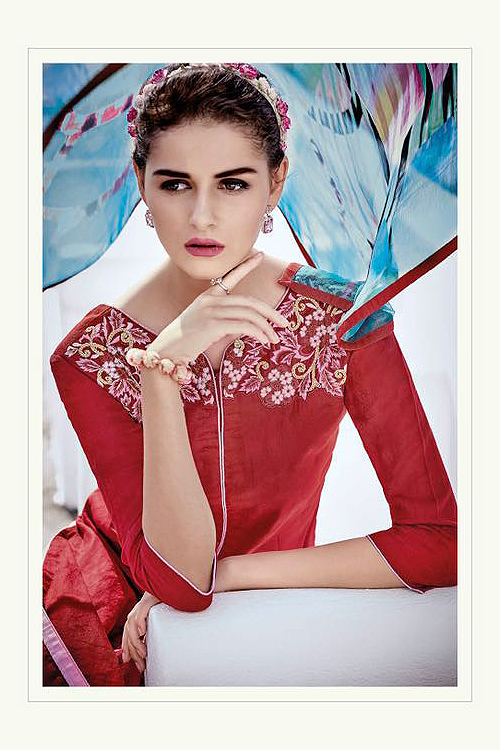 You have added Burnt Red Embroidered Cotton Jacquard Designer Salwar Suit to your Shopping Bag! 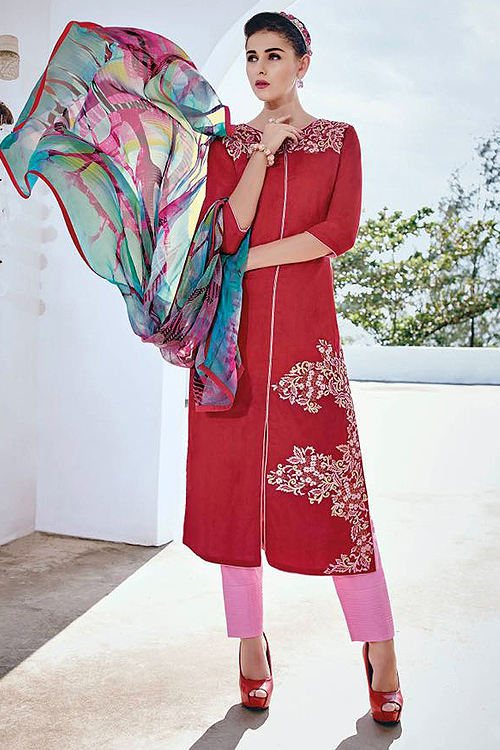 With embroided red cotton kurta, dyed pink cambric cotton bottom and printed chiffon dupatta with art silk border, this suit promises to revamp your look. 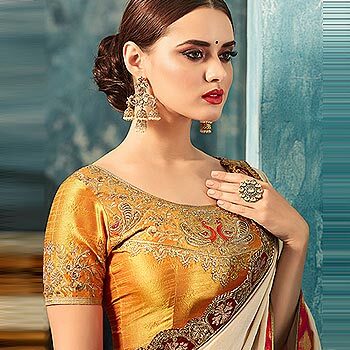 Make an impression that lasts long by opting for this beauty and stay comfortable. Look gorgeous and pristine as you walk the way with this cotton suit set in red. Royal Blue and Sky Blue Embroidered Shaded Cotton Jacquard..
Peachy Orange Embroidered Cotton Jacquard Designer Salwar..
Bahni Elena White Embroidered Designer Cotton Jacquard..